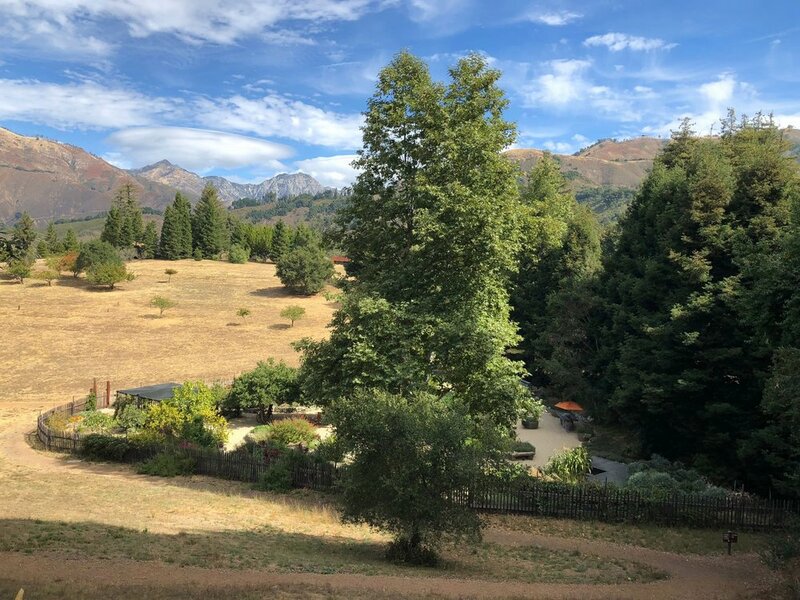 Late this summer we traveled to the Post Ranch Inn in Big Sur California. We began our trip here as we worked our way north on highway 1 along the Pacific Coast. The chef’s garden is one of many daily activities available for guests. As guests we enjoyed panoramic views from our room as we watched the marine layer sweep in and out over the Pacific Ocean each day. 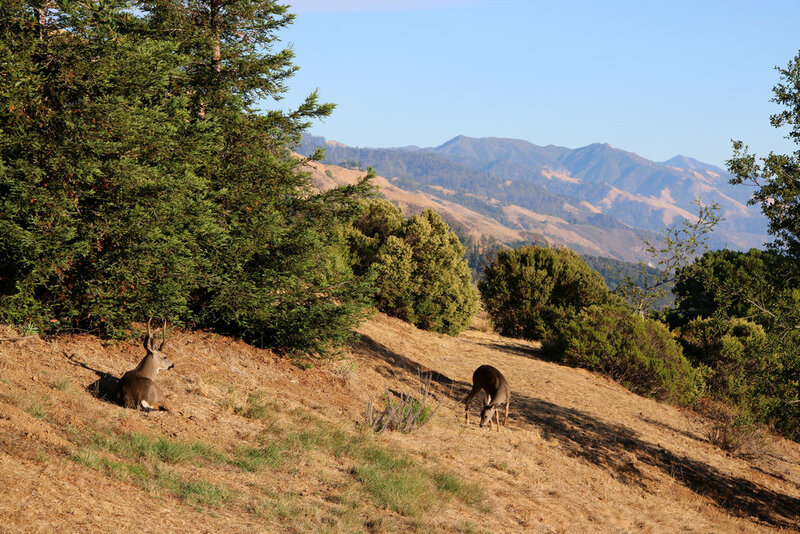 Our views also included picturesque mountains with deer and turkeys grazing just a few yards from our room. 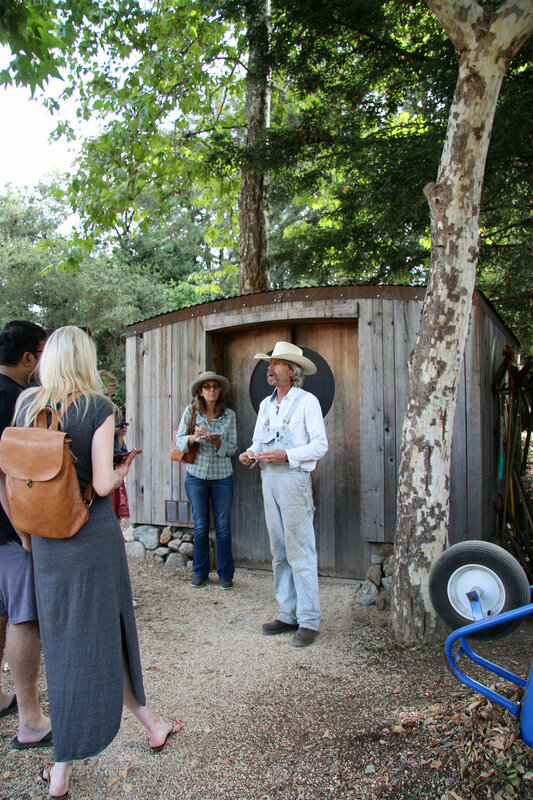 The chef’s garden sits on a beautiful plot of land that has weekly edible tours as one of the many activities at the inn. Come along as we take a tour of the garden! A walk among beautiful trees and peaceful paths leads you to Anton who manages the chef’s garden. He shared his vast knowledge of specialty crops, growing techniques as well as a sample of his daily harvest. 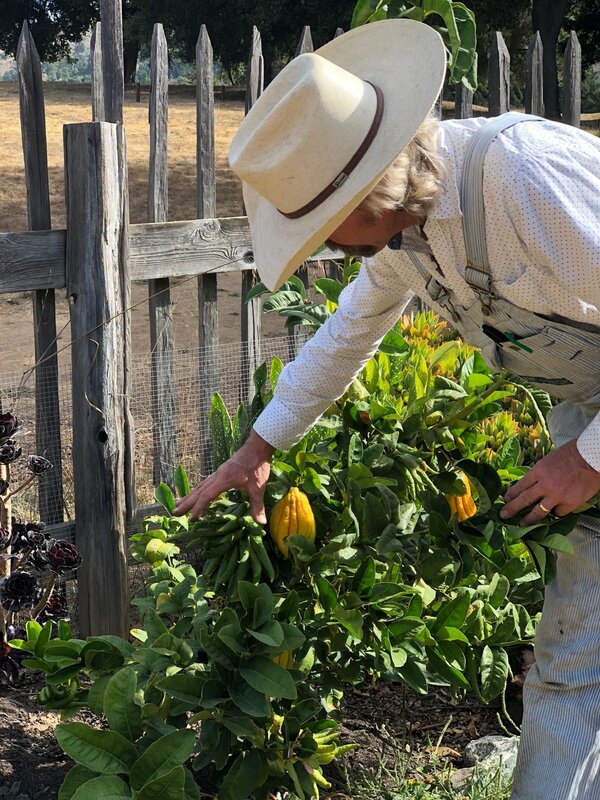 The diverse ecosystem has a wide range of fruit, vegetables, herbs and decorative plants that are harvested for the Sierra Mar restaurant on site. Anton pointed out this variety of Buddha’s hand citrus tree. The colors from the planted crops and mounds of harvested crops create natural works of art. The chicken coop is shaded by passion fruit vines, fig trees and hops plants that are used in brewing beer. 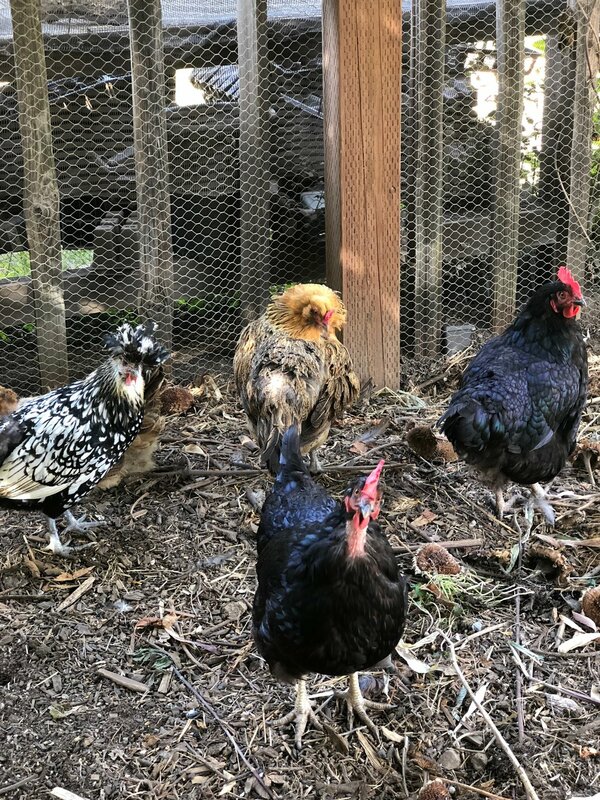 The eggs from the exotic breeds of chicken are collected for use in the Sierra Mar kitchen. 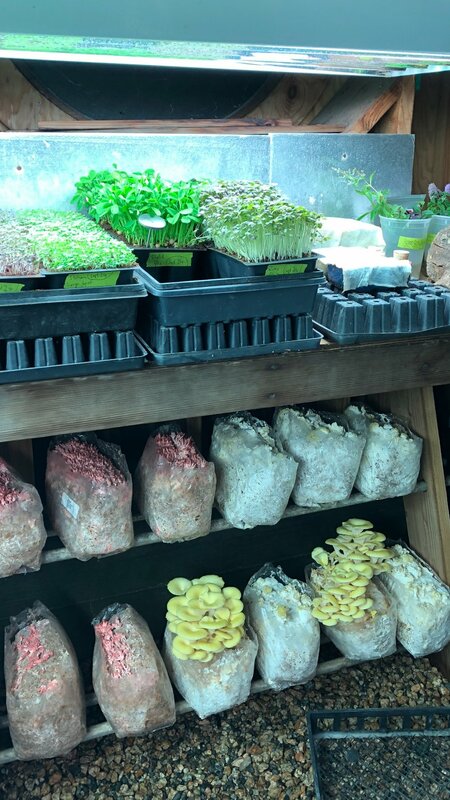 The mushroom and micro green shed was filled with a rainbow colored selection of plants, and a large selection of pink oyster mushrooms. The edible culinary tour was as delicious as it was beautiful. I left inspired and excited to explore new plants in my home garden.